With high-current Dynamic Audio Amplification driving your surround system to THX Certified Select™ theater reference levels, you can transport your audience to the heart of the movie. DTS:X® and Dolby Atmos® soundtracks complement the latest in 4K HDR video via HDMI® pass-through supporting 4K/60p, Dolby Vision™, HDR10, HLG, and the BT.2020 color standard. Now with cross-compatible 3D audio upmixing solutions from Dolby Surround and DTS Neural:X®, you can enjoy regular multichannel movies with spatially immersive sound. Cast music from mobiles to the receiver and other compatible systems in your home over Chromecast built-in, DTS Play-Fi®, or FlareConnect™ wireless multi-room platforms. AirPlay and Bluetooth® technology are also on board. 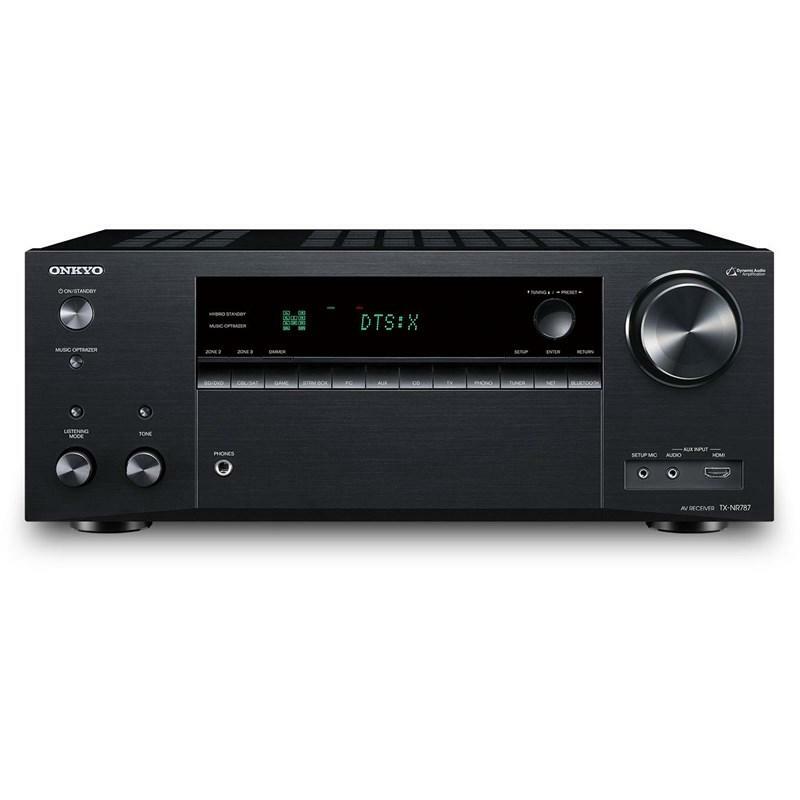 Enjoy built-in streaming services as well Hi-Res Audio via network and USB, all with the dynamic and emotional sound only an Onkyo can deliver. THX Certified Select ™guarantees the same high-volume sound you experience at a commercial theater in your home. To gain certification, amplifiers must pass the industry's most severe bench-tests covering every aspect of audio performance. THX Certified Select components are ideally suited to rooms where the screen-to-seat viewing distance is approximately 3 meters (10 ft.), and the room volume is approximately 57 cubic meters (2,000 cubic feet). Object-based audio lets sounds play independently through any speaker, moving all around your audience so they feel 5.2.2-ch Dolby Atmos or DTS:X soundtracks with natural conviction. DTS Neural:X® and Dolby Surround upmixing solutions find spatial cues in legacy multichannel soundtracks and upmix them for 3D audio playback through your object-audio-ready speaker system. Both solutions offer cross-compatible support for common movie soundtracks, such as Dolby® Digital 5.1, Dolby® TrueHD, and DTS-HD Master Audio™, so you can enjoy more immersive 3D sound from your movie library as well as with supported video streaming services. 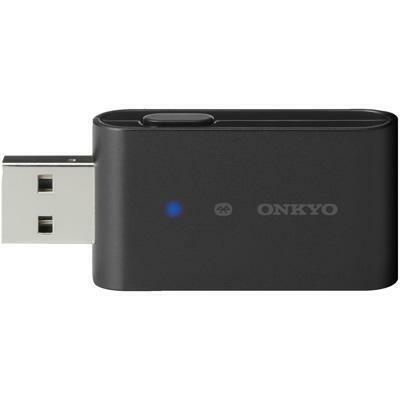 Stream any music from your smartphone, laptop, or PC to the receiver with ease. Control playback with Chromecastenabled apps you know and love from your iPhone, iPad, Android™ phone or tablet, Mac® or Windows® laptop, or Chromebook™. If you have a speaker device featuring the Google Assistant, such as the Onkyo Smart Speaker G3, you can cue, play, and control music playback on your receiver by voice. DTS Play-Fi allows you to enjoy high-quality music from connected online services, networked media servers, and your device library over Wi-Fi® to any number of compatible products using the Onkyo Music Control App for iPad, iPhone, and Android smartphones/tablets. DTS Play-Fi can synchronize the music in every room. Each member of your family can use their own device to listen to their music in a room or group of rooms. 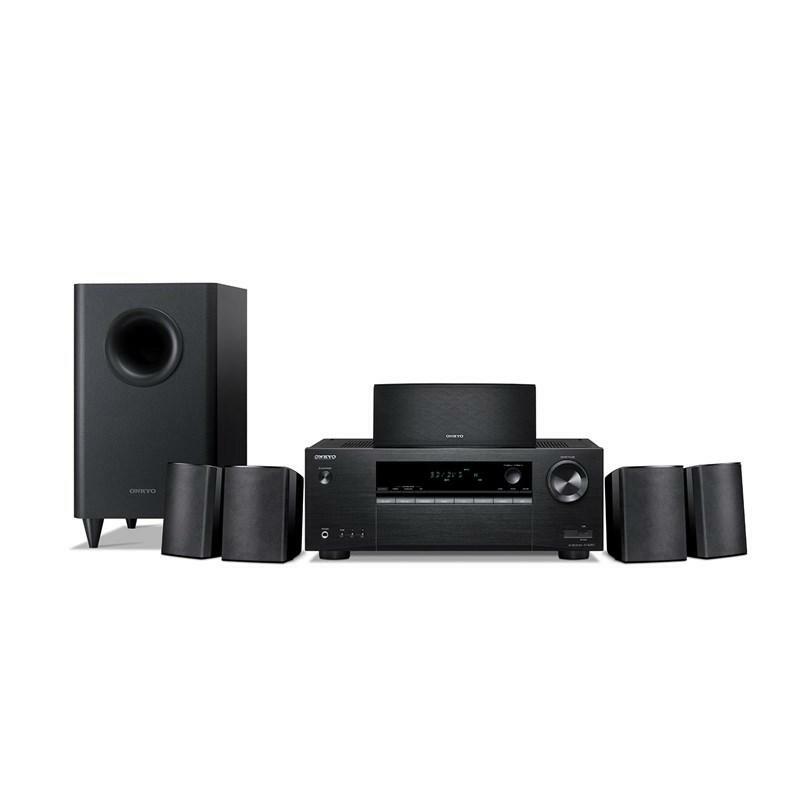 DTS Play-Fi lets you structure a comprehensive multi-room ecosystem that satisfies virtually any need. Six rear HDMI® inputs support pass-through of 4K HDR in HDR10, HLG, and Dolby Vision™ formats. They handle the BT.2020 4K Video Standard, 4K/60 Hz playback, and HDCP 2.2 for premium content. Front HDMI connects video cameras or consoles, while rear Sub Out is ideal for connecting a projector. AccuEQ conducts two measurements- one to set the level, distance and crossover for ALL speakers, including the subwoofer. Choose to include or bypass EQ measurement for front left and right speakers, and choose to automatically or manually set the EQ. Further, you can save your own manual EQ settings into three available presets. AccuReflex technology aligns the phase of up-firing "height" speakers with the sound coming directly from your other speakers. Any delay is resolved so that everything arrives at your ears at the same time. The result is cohesive reproduction of object-based soundtracks. AccuEQ conducts two measurements- one to set the level, distance and crossover for ALL speakers, including the subwoofer. Choose to include or bypass EQ measurement for front left and right speakers, and choose to automatically or manually set the EQ. Further, you can save your own manual EQ settings into three available presets. AccuReflex technology aligns the phase of up-firing "height" speakers with the sound coming directly from your other speakers. Any delay is resolved so that everything arrives at your ears at the same time. The result is cohesive reproduction of object-based soundtracks. 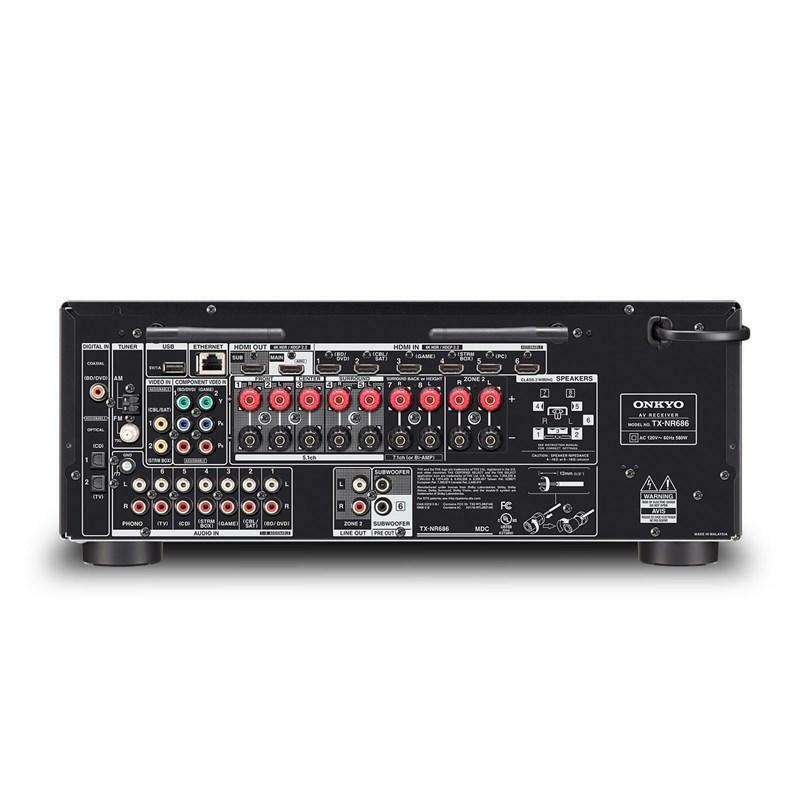 This receiver features Powered Zone 2 and Zone 2 line-outs. This lets you assign two channels to power audio in a room equipped with speakers. 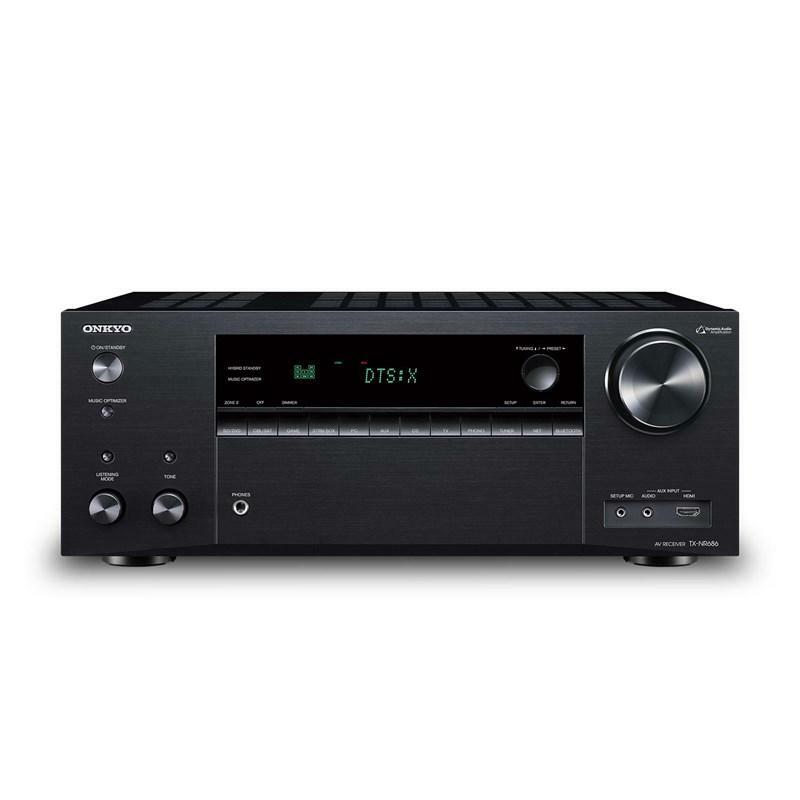 An existing hi-fi system in a third room can also be connected via the line-out, enabling the use of the A/V receiver as a pre-amp and audio server. Control content in the two zones via remote app; play the same song in all zones using Whole House Mode; or enjoy a different song in each room. Powered Zone 2 speaker outputs let you send amplified audio sources, including network, S/PDIF, and analog, to a pair of speakers in another room. Line outputs can connect home theater sources to a separate hi-fi system. 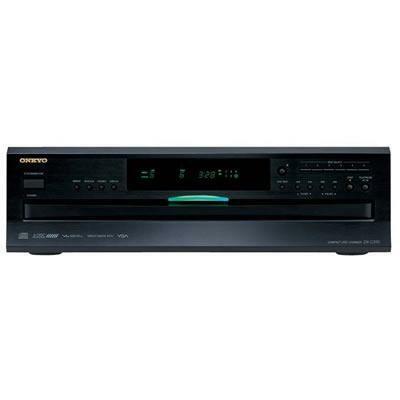 Manage playback distribution with Onkyo Controller. With speakers and media players connected, plug in the AccuEQ mic and let the receiver GUI guide you through setup, from speaker calibration (including AccuReflex phase correction for Dolby Atmos-enabled speakers) through to network connection. The refined interface makes control simple and enjoyable. Onkyo Controller app collects streaming services and network-attached audio into one intuitive interface. 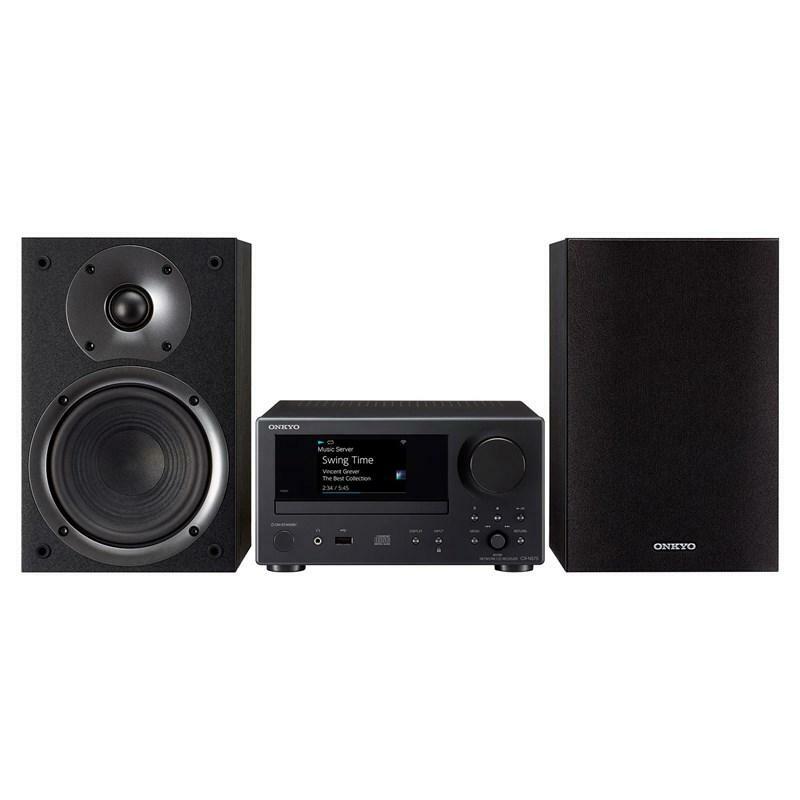 Control playback, navigate internet services, and distribute audio all over the home with ease. Dual-band 5 GHz/2.4 GHz Wi-Fi assures stable connectivity so you can enjoy smooth streaming over AirPlay, the Spotify app, and the local network. 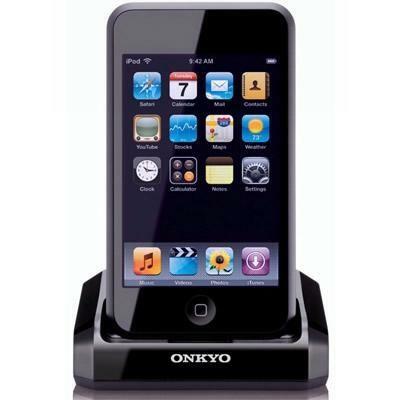 Bluetooth technology also provides simple wireless streaming from music applications. Amazon Music, TIDAL, Deezer, Pandora®, and TuneIn are baked into the GUI, making it easy to select from music and radio programs with Onkyo Controller. FlareConnect™ shares audio from network and external audio input sources between compatible components. Enjoy effortless multi-room playback of LP records, CDs, network music services, and more with supported components and speaker systems. Music selection, speaker grouping, and playback management across the home are built into the Onkyo Controller app. No matter what you're listening to, it will sound powerfully full, clean and clear. A premium-quality AK4458 digital-to-analog converter from Asahi Kasei implements unique low-distortion filtering technologies for clear sound, and unlocks the full potential of any audio format, including compressed, lossless, and hi-res audio (MP3, WMA, WMA Lossless, FLAC, WAV, OggVorbis, AAC, Apple Lossless, DSD 5.6 MHz, LPCM, and Dolby TrueHD). Onkyo developed Vector Linear Shaping Circuitry (VLSC) to reassemble the signal in its original form following processing. Unlike conventional filters, VLSC removes pulse noise generated in D/A conversion, allowing the sound wave to be reproduced with extremely high fidelity for a smooth analog signal. The signal's data is converted between sampling points and joined with analog vectors in real time to produce a smooth output wave form. The result is a virtually noiseless, smooth, analog signal that brings out even the most subtle of nuances in music sources. High-current power is proven by an ability to drive four-ohm speaker loads, which test the toughest multichannel amplifier. Heaps of muscle means superior control for fast dynamics and high energy. Non-phase-shift amps present a detailed and cohesive audio image, while VLSC™ eliminates high-frequency distortion for ultimate clarity of sound. 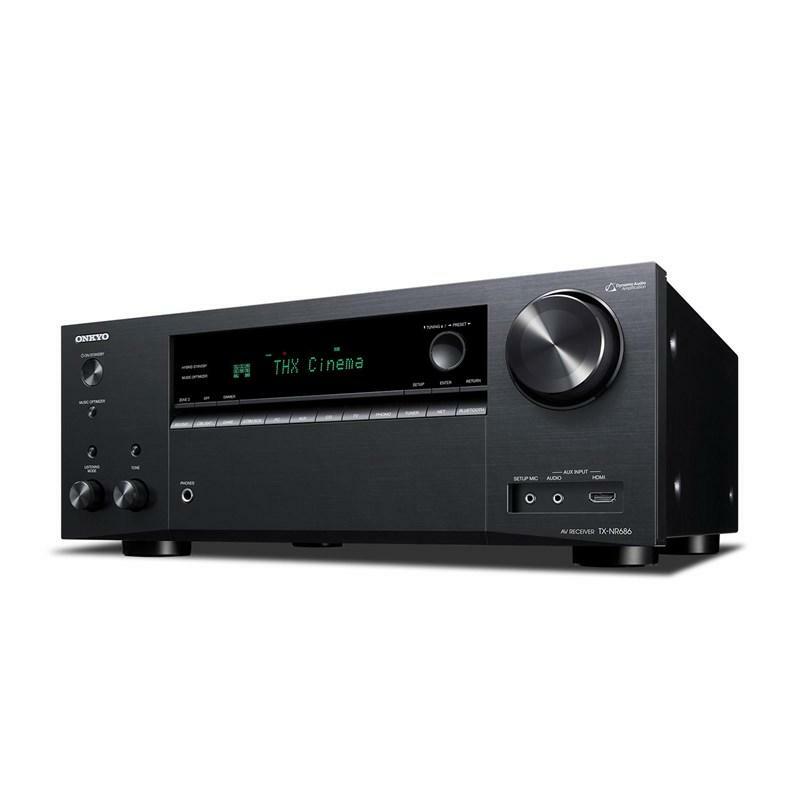 Onkyo's dynamic audio amplification delivers massive power at 210 W/Ch (6 Ohms, 1 kHz, 10% THD, 1 Channel Driven)/ 100 W/Ch (8 Ohms, 20 Hz-20 kHz, 0.08% THD, 2 Channels Driven).